Young Jewish Professionals mingle over kosher wine & cheese and enjoy a Chinese Auction celebrating the festival of lights. 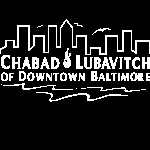 Mingle and network with other young professionals over kosher wine & cheese and celebrate the festival of lights. A little bit of warm in the winter cold! With lots of food, lots of friends & lots of fun! Pictues of place settings before Young Jewish Professionals Pre-Grand Prix Shabbat Dinner. 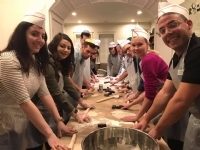 Young Jewish Professionals hanging out with friends and learning the art of making delicious sushi... and then eating it, of course!